This entry was posted on September 6, 2006 by admin. London UK (SPX) Sep 06, 2006: Inmarsat and Asia's ACeS International revealed a groundbreaking plan to provide better low-cost hand-held and fixed voice services within the Asian market and beyond, according to a joint announcement. The two firms revealed that they hope to collaborate, combining their respective satellite resources to extend coverage throughout the region, ushering in a new era of access to hand-held communication services. As per the terms of their agreement, Inmarsat's primary duty will be to handle satellite and network operations and product and service development; additionally, they will be responsible for wholesale service provision. ACeS, on the other hand, will be responsible for distributing MSS products throughout both land and maritime markets within Asia. ACeS will also be stepping into the role of distributor for Inmarsat's existing BGAN services. In order to effectively implement this strategy, Inmarsat revealed that they intend to upgrade their existing Asian satellite network, gradually expanding it over a period of two years until it's able to provide global coverage. This will require extensive network upgrades and the rapid modernisation of ACeS's current hand-held satellite phone, the R190. Additionally, to make the complete provision of a global hand-held service possible (along with the global extension of BGAN and further broadband maritime and aeronautical services), Inmarsat will launch a supplementary third Inmarsat-4 satellite. "This collaboration with ACeS accelerates our entry into the hand-held market and begins to realise one of the growth opportunities we have been targeting,” enthused Andrew Sukawaty, Chairman and CEO of Inmarsat, “[By] leveraging our Inmarsat-4 satellites and network of distribution partners, we expect to roll out a global Inmarsat hand-held service within two years." Sukawaty's optimism is well-warranted; according to Inmarsat's estimates, the global hand-held market has a value of approximately $350 million U.S. dollars, and this worth is rapidly increasing. Inmarsat has stated that they intend to own at least 10 percent of this market as of the year 2010. "By collaborating with Inmarsat we have positioned ACeS for new growth. ACeS will leverage its strong regional presence to introduce Inmarsat BGAN services to its channels and renew focus on hand-held sales,” explained Adi Adiwoso, Chairman and CEO of ACeS. “With the continued support of strong national service providers, PSN in Indonesia, PLDT in the Philippines and ARS in Thailand, we have a bright future and a significant market opportunity." Andrew Sukawaty elaborated on Adiwoso's points, stating that, "Today Inmarsat takes its first steps in launching its global hand-held satellite phone service. Our move into hand-held means that distributors and end-customers choosing the new Inmarsat voice service will benefit from Inmarsat's long standing reputation for service reliability and quality. Furthermore, through our Inmarsat-4 satellite fleet, we will be the only provider today offering continuity of service on a global basis through the end of the next decade." Inmarsat has also revealed that they intend to collect data on their revenue, which they expect to be in the range of $3 to 5 million annually. These profits will not arise without significant expense, however; in order to modernise and globalise its hand-held service, Inmarsat will require investment capital of between $40-45 million in total (over the period of two years). These funds will be spent on improving ground infrastructure and on advancing the capabilities of the ACeS R190 satellite phone. 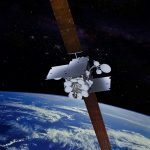 Additionally, though the third Inmarsat satellite that is slated to launch as part of the joint plan is already built and tested and has been residing in storage, the launch itself will cost from $130 to 150 million (with the funds going toward launch insurance, a new American earth station, and the launch vehicle). Though the aforementioned costs are significant, Inmarsat believes that launching a third satellite and making infrastructure improvements as described above will greatly improve their chances of accomplishing a fully global hand-held service and a global BGAN service. There will also doubtlessly be many future opportunities to expand on the broadband maritime and aeronautical services currently offered by Inmarsat's satellites.